I have an iPhone. And yes, I use it to make phone calls, and text message friends and family. But mainly, I use it for Instagram. Instagram? What’s that you say? Well, it’s a nifty little app that allows you to take photos, filter them with cool retro style filters, and then share them with your friends! The Dandelion Patch even has one! (instagram.com/thedandelionpatch) It’s pretty awesome. I may be a little obsessed with it. 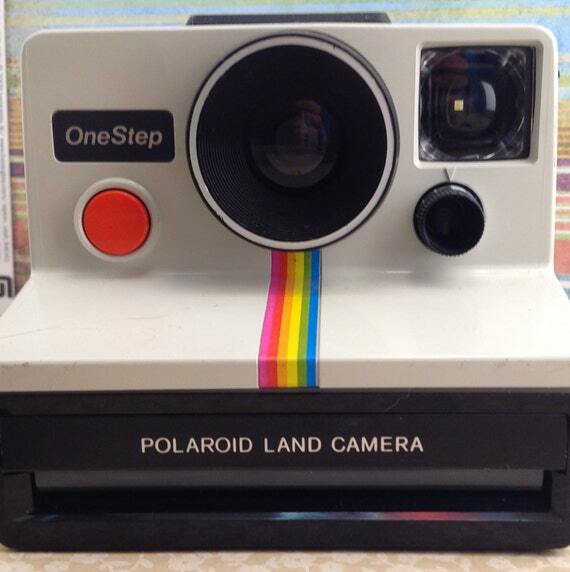 The Instagram logo is loosely based off of the Polaroid Land Camera from the 70s. Many cameras from the 60s 70s and 80s give the photos the cool effect like the Instagram filters do. Which, I think makes Instagram more appealing. At least for me. I have many old cameras, and some film to photograph, but it’s just so expensive to develop it! Instagram is so great, and you can usually go and get your photos printed at one of those kiosks in target or something. But that still costs you some money. So, when I found out that an Italian design firm is designing an Instagram CAMERA, (YES! A real camera!) I had flipped out!! I was so excited! Now, it’s not supposed to hit the market until 2014 (ugh REALLY?! I have to wait THAT LONG! ), but it’s being made by polaroid and is going to be called “The Socialmatic Polaroid Camera”. There will be special polaroid film for it and everything! It’s going to shoot, and print out 3 inch by 3 inch photos with Instagram filters, and there’s even an option to post a caption to the photo too! I am running out and buying one as soon as it comes out! I can’t wait!